Mozilla has signed on Foxconn, the world's largest contract electronics manufacturer, to support its Firefox operating system in cellphones. The Firefox OS is built on the HTML5 web standard and Mozilla is setting it up to compete with operating systems such as Google's Android and Microsoft's Windows Phone 8. The first Firefox phones are yet to go on sale although a number of phone makers and carriers have signaled support for the software. The initial handsets are expected to appear first in developing markets. For carriers and phone makers, Firefox OS could play a balancing role against the growing dominance of Android, although what level of support the operating system will get is not yet clear. 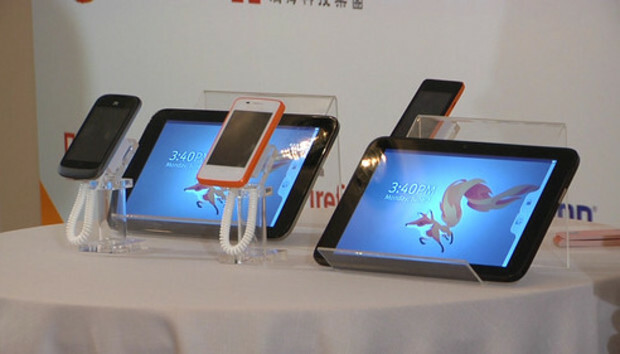 The deal could make it easier for phone makers to turn to Foxconn to manufacture a Firefox OS based handset. "We are very excited about the cooperation with Foxconn and are glad to see more partners supporting the Firefox OS and the open web," said Li Gong, senior vice president of mobile devices for Mozilla Asia, in a statement. More details are expected at a news conference later Monday.